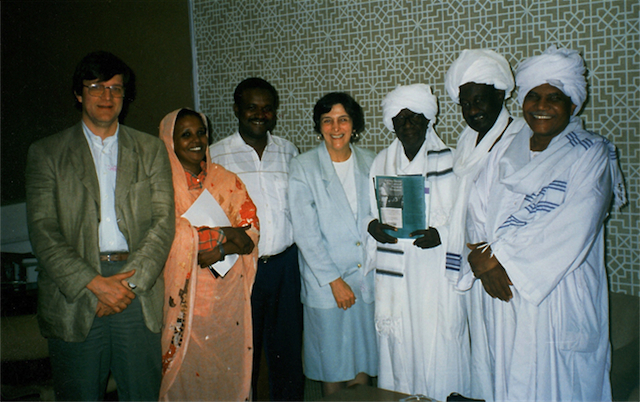 In February 1998 Muriel Mirak-Weissbach attended the National Conference of the Popular Islamic and Arab Conference in Khartoum. Far left: Uwe Friesecke from Germany, also part of the delegation. Among the Sudanese political figures is Sharif al Hindi. third from the right.